How Can Preschool Benefit Parents? Usually when people think of a Preschool in Lanham, MD, the first thing that comes to mind is professional services geared toward children. This is true but these services can also benefit the parents. We all have busy lives and we all have responsibilities that we need to do on a daily basis. These responsibilities can be things such as work, running errands, household chores, and the list goes on. These are tasks that are normally pretty easy and we do not think twice about, unless you have little ones. It can be hard to do these things when you also have to take care of your children, and this is where we can help. Responsibilities: The main benefit is that while you are working or doing what you need to do in order to keep food on the table, we will watch over your little ones. This can give you the peace of mind and the confidence to focus on your tasks at hand because you know your kiddos are in good hands. A Break: Parenting is a rewarding experience but it can also be exhausting. By having us watch over and take care of your children, you can get the respite you need to recharge your batteries and re-center yourself. This break can be very important, especially on the days where everything just feels overwhelming. Fun: We offer fun and exciting programs that your kids will surely love. This means that your little ones will probably love you even more for providing them this experience. 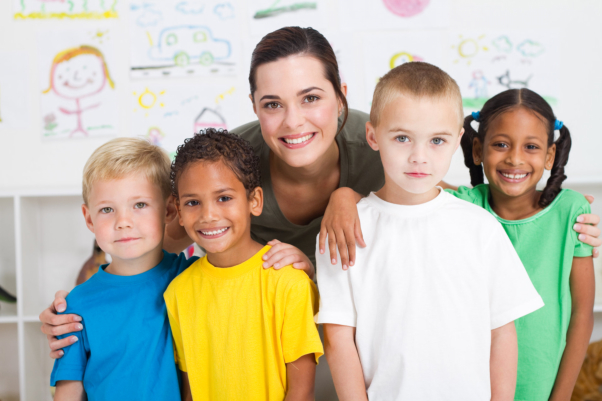 Daycare centers are important services that not only benefit your kids, but also you. If you are interested in finding out about the many different kinds of programs we are offering, please feel free to visit our website www.onestepupearlychildcare.com today. We offer the services your young ones need to excel in both life and their academic careers, so come and check out what we are offering now. This entry was posted in Preschool and tagged early education, Infant Care, Kindergarten, Summer Programs, Toddler Play Group. Bookmark the permalink.